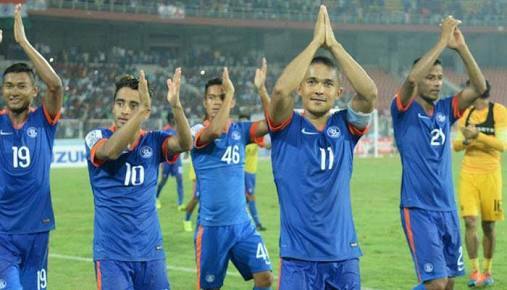 Indian football team improved a spot to be placed at the 96th position in the latest FIFA world rankings. Indian football team was ranked 97th in the previous week. In the latest FIFA rankings, they share the 96th position with Georgia after FIFA implemented a new ranking system called ELO. According to the ELO points will be added or subtracted to a national team's already existing total before a match.